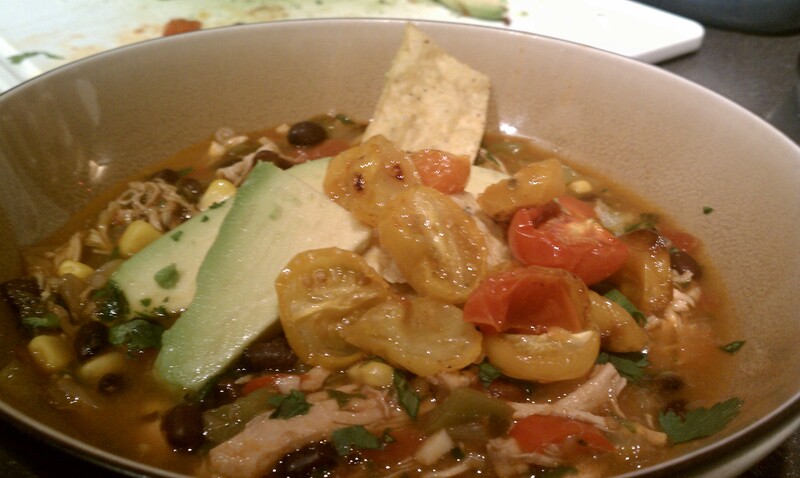 i went on a cooking streak yesterday and would like to share with you my new favorite soup creation. this soup can stand alone as a meal or make a wonderful appetizer, however you prefer. 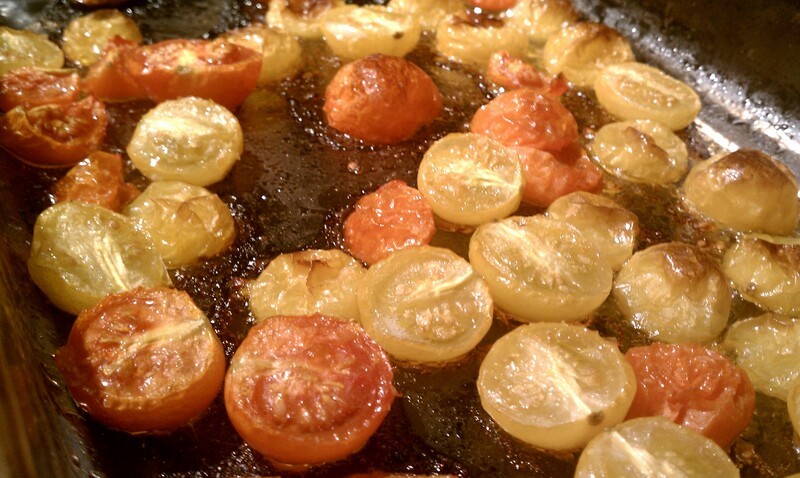 preheat oven to 350 degrees F. cut cherry tomatoes in half, toss in olive oil and a few pinches of salt and place in baking dish. cook for 45 minutes or until golden brown on the sides. these can be set aside once finished as they are used at the end. 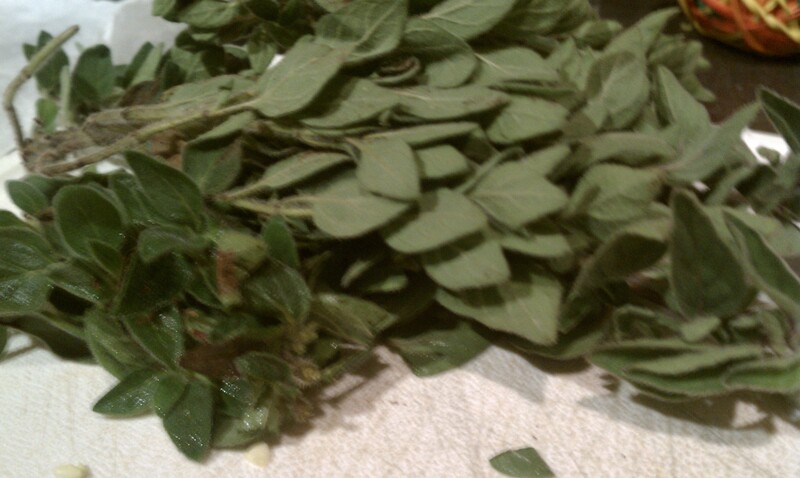 i was inspired by 101 cookbooks for adding this garnish as a part of my soup. the tangy taste from the roasted tomatoes adds the perfect bite every once in awhile. in a large soup pot with a few tablespoons of olive oil, combine and cook all the peppers, onion, garlic, chili powder and cumin for about 5 minutes. 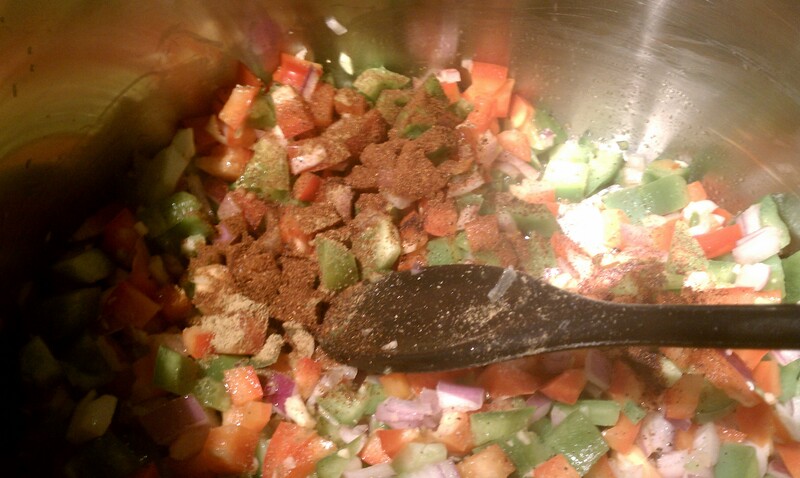 add in the can of rotel, fresh oregano, and a few pinches of salt and cook for a minute or two more. next add 3.5 cups of chicken broth, black beans, corn, tomato paste, and raw chicken breast. stir together. it is helpful to slice the chicken breast down the middle so that it gets cooked all the way through. 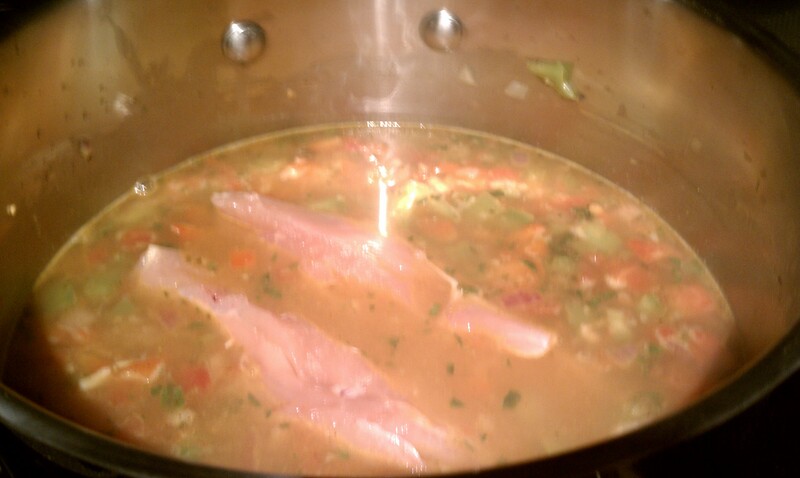 bring soup to a boil for about 20 minutes and then reduce heat to a simmer. take out chicken breast and shred the chicken. it should be the perfect juicy soft where the meat will easily fall apart with a fork and knife. 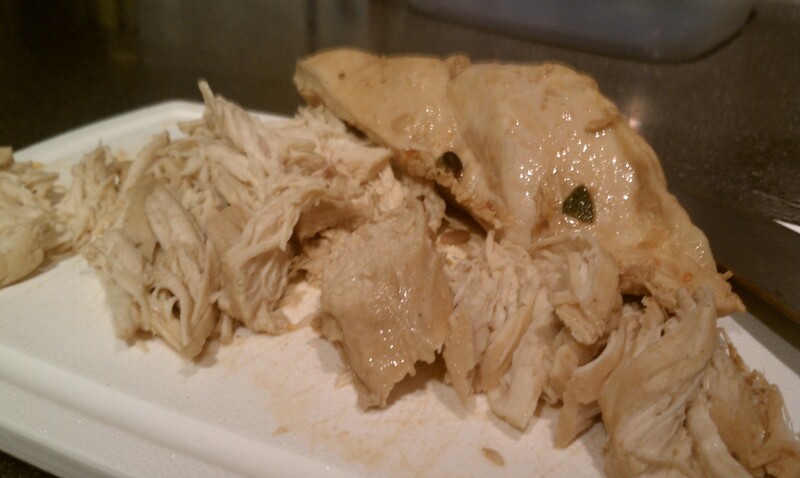 once shredded add chicken back into soup and add the 1/2 cup of freshly chopped cilantro. let cook for a few more minutes and it is ready to serve. 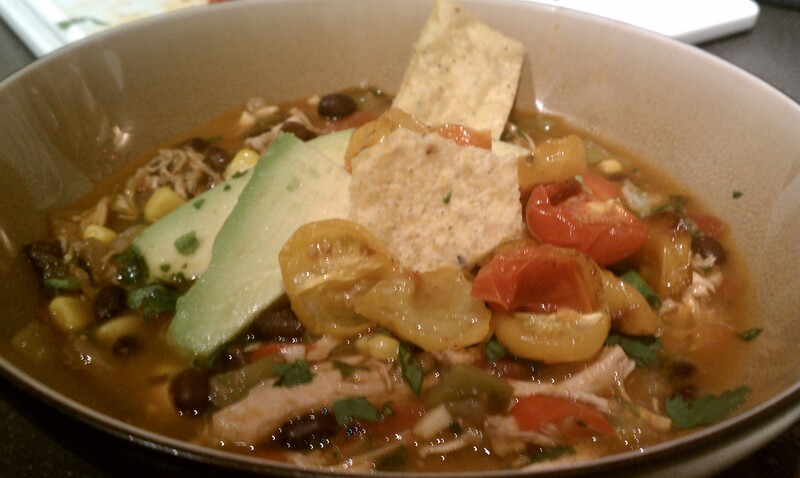 garnish soup with tortilla chips, avocado slices, more fresh cilantro, and roasted tomatoes on top.